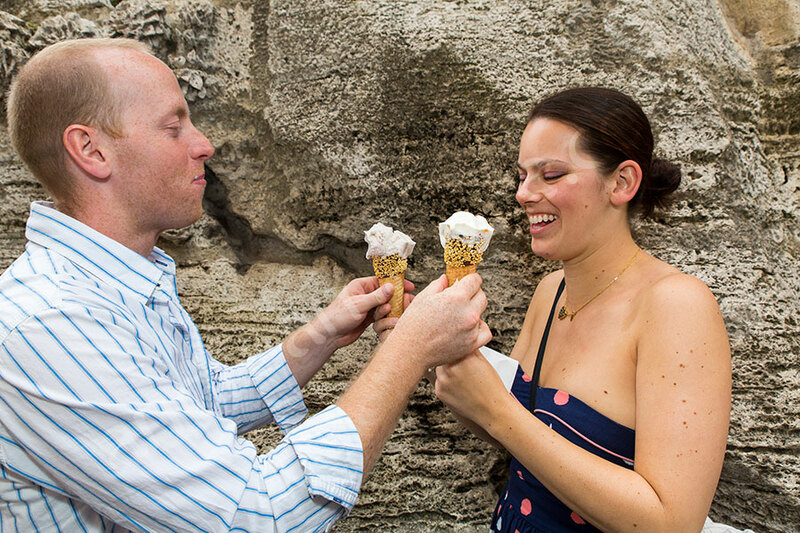 A stunningly beautiful wedding honeymoon trip to Italy together with a wonderful coupe! Nikki & George were so fun to work with. 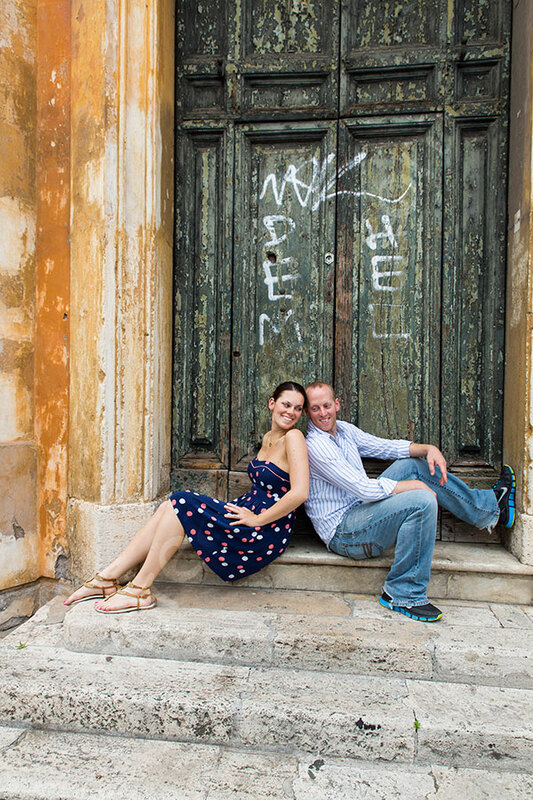 Time just flew by in a wonderfully fun dynamic photography session in Rome. 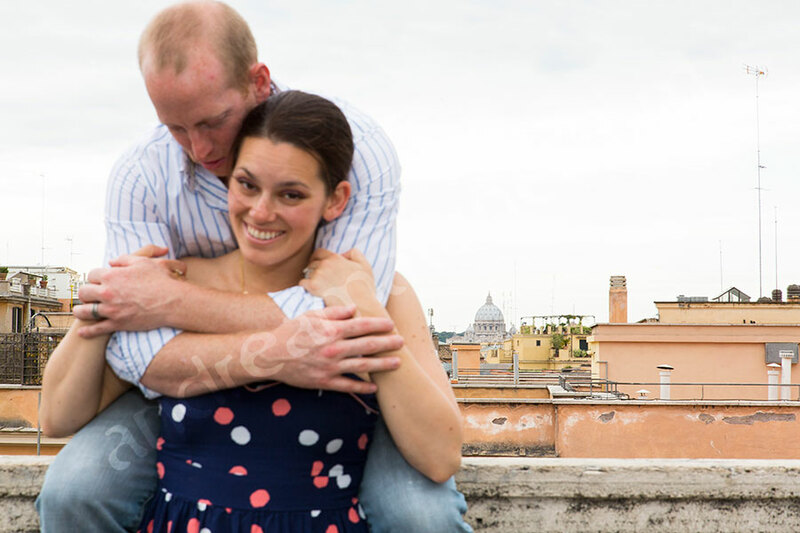 We met under the metro subway stop Colosseo. Sometimes it is not so easy to find each other there as it can be quite crowded but not this time. 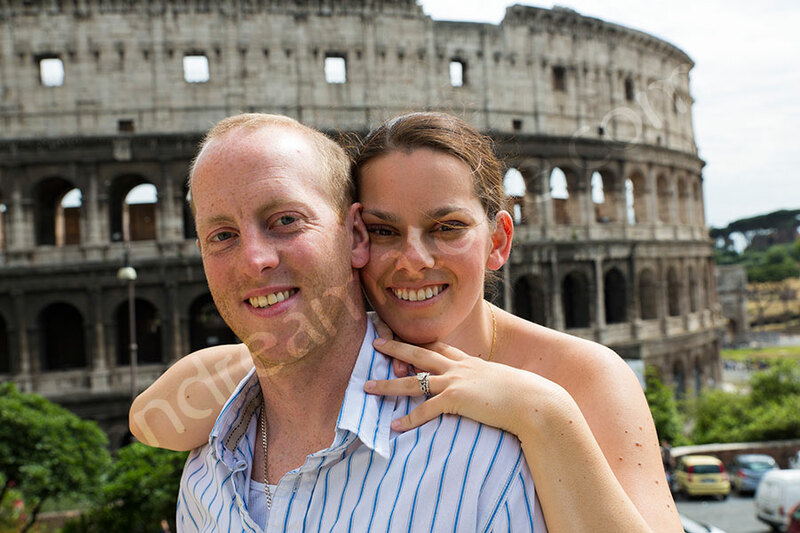 So we started the photographer session upstairs and in around the roman Colosseum looking for diverse picture opportunities. 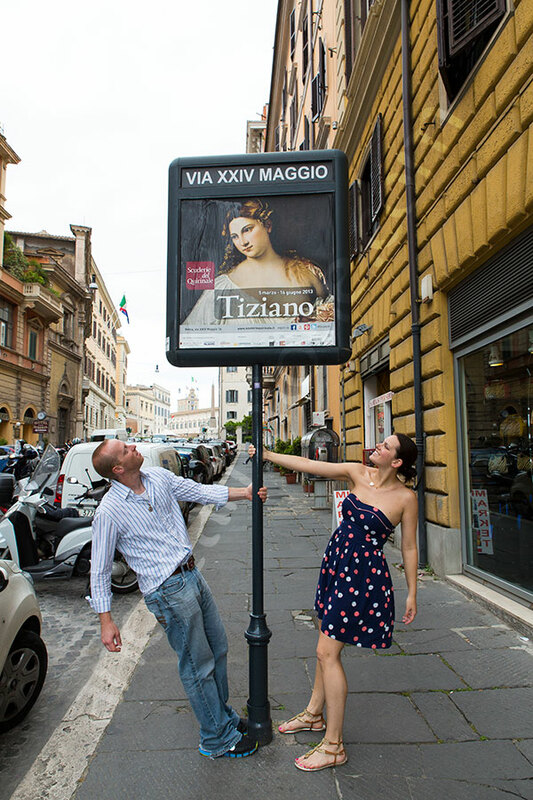 It all came very naturally as we just had fun walking around and visiting the city. Our walk brought us to a nearby church with some really nice stairs leading upwards. Then we moved to Piazza del Quirinale with a view of the Saint Peter’s dome in the distance. 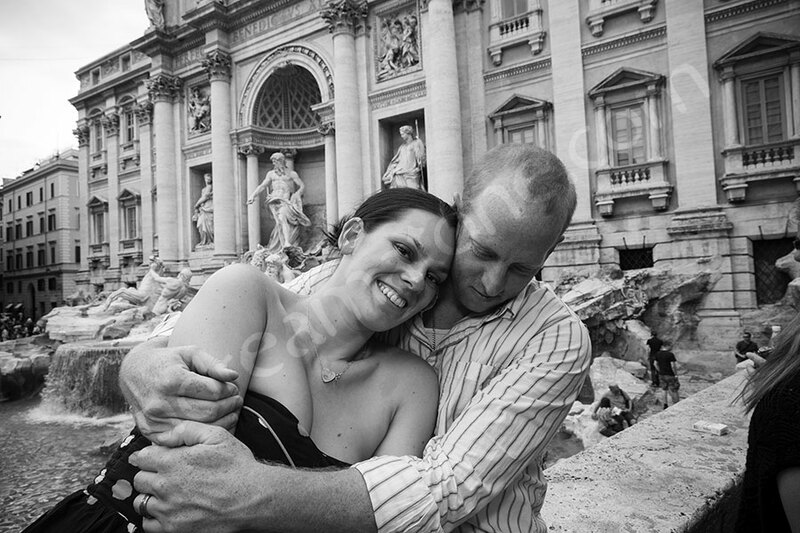 Then it was down to Piazza Fontana di Trevi where we elbowed a little bit to a find a nice spot by the water fountain. 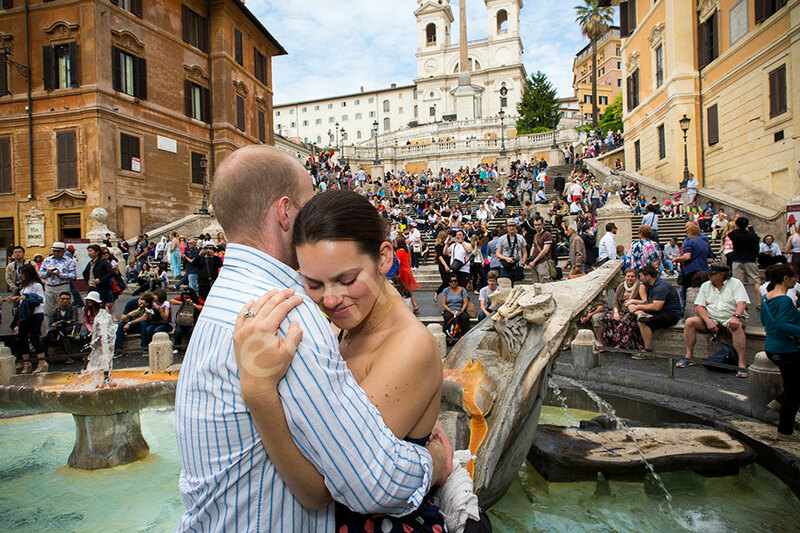 Then we walked to Piazza di Spagna and up the Spanish steps to Trinita’ dei Monti where the photographer session ended. It was really great fun and I wish you all the best! Check out more pictures from the Blog. 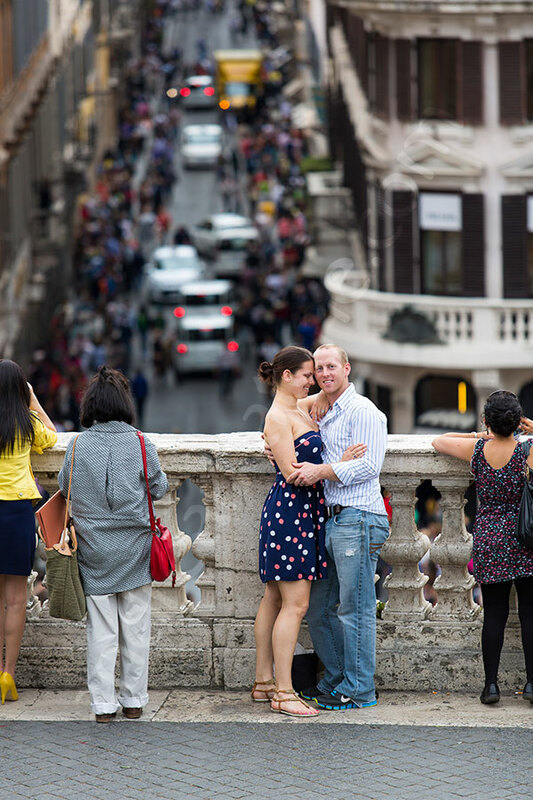 See all the details of an Engagement style photo session. 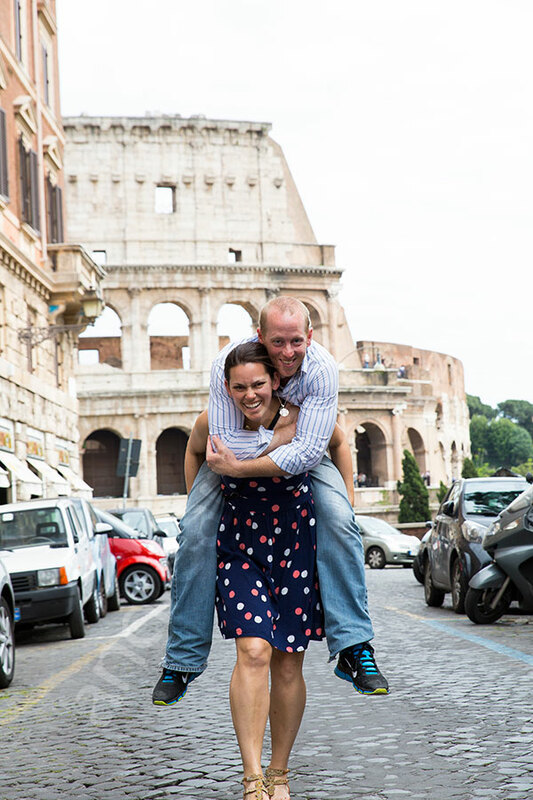 A wonderful honeymoon vacation in Rome Italy. Fun and playful. Photographed by professional photographers.